The easy to grip, molded-in handles and sliding, lockable latches provide secure storage and transport of any number of supplies. Available in Translucent Clear-6977AB, Aqua Mist-6977AA and Coral-6977AG. 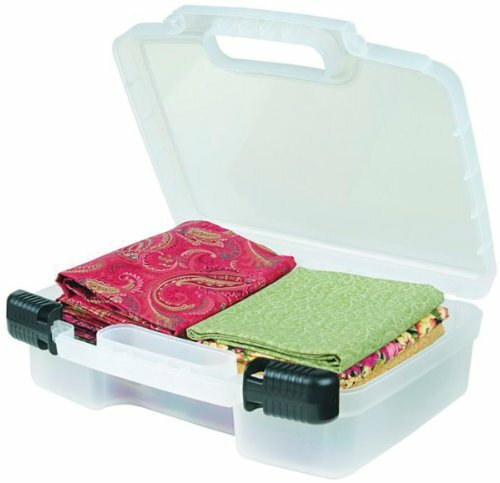 This is a great storage box for art students. Secure sliding, lockable latches with easy grip, molded-in handles. Molded in acid free translucent plastic with "windows" for easy viewing of supplies.